We have seen that Western conifer seed bugs are pests, entering unwanted into buildings whenever it begins to get cold. Though they aren't dangerous, they are annoying. Western conifer seed bugs are so named because of their preference for their favorite food, the seeds found inside cones such as pine trees. These preferences can cause them to destroy up to 95% of the trees they dine on. In an attempt to understand why the bugs are attracted to buildings, researchers from Simon Fraser University devised a series of experiments based on the insect's eating habits. They found, to their amazement, that the bugs have a sophisticated heat sensing system on their stomachs that helps them find food. 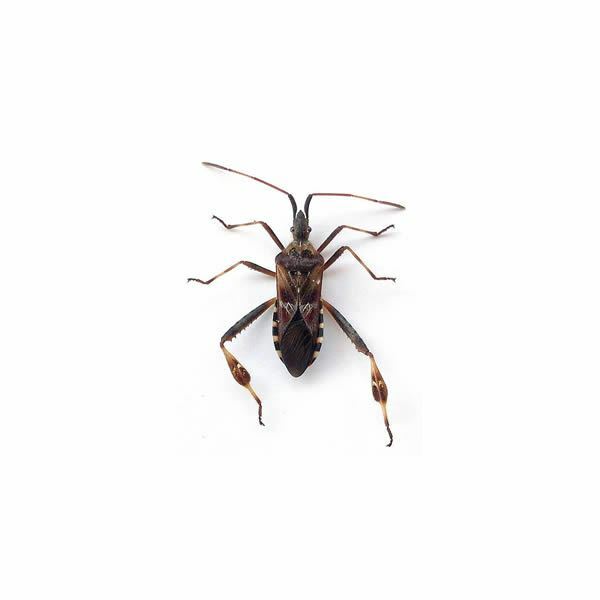 While heat-sensing bugs are not unknown, this is the first time that seed bugs have been found to specialize in using heat or infrared radiation to detect their main food source. Thermal Radiation is heat transfer via the use of electromagnetic waves such as infrared light, visible light, radio waves, microwaves, x-rays, and gamma waves. This transfer of heat is done without the use of another mechanism. The Sun is the most important source, but everything that is above 0 K or absolute Kelvin emits radiation. This includes books, ice, plants, and concrete. The Sun itself emits light in the visible, infrared, and ultraviolet ranges. Infrared waves are heat waves, and they are of extremely high frequencies. These frequencies are higher than that of radio waves, but less than that of visible light. They also have wavelengths longer than visible light, with lengths from 7 x 10-7 m to 1 mm. When objects absorb energy from these waves, this causes the atoms inside of them to vibrate and produce heat. 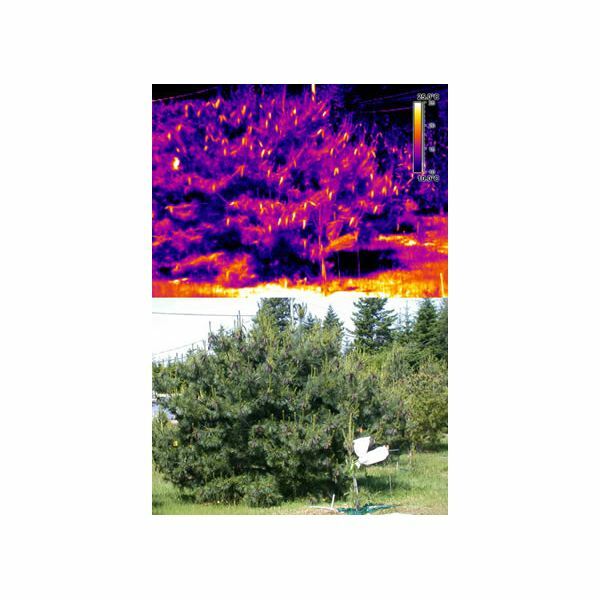 The research team led by Dr. Stephen Takács first used infrared cameras to look at several evergreen trees. The appearance of the cones stood out in such a way that, according to Takács, they looked like Christmas trees. They took the temperature of conifer cones and needles from several trees, and also took the temperature of other vegetation around them. In comparison, they found the cones to be on average at least 15 degrees warmer, in degrees Celsius, of not only the tree needles, but of the surrounding vegetation. The seed inside the cones generate such heat while growing that to the seed bugs, they are very visible and prominent, like lit candles or beacons. Using scanning electron microscopy, they found special infrared receptors on the abdominal segments of the bugs. When they blocked radiation from the receptors by covering them with silica paint, the insects were no longer able to detect infrared. Dissection showed that the nervous systems in the abdomens of the bugs led clearly to the brain. These built-in infrared sensors are why the seed-eating bugs can detect the cones not only at day, but also at dawn and dusk. Further experiments done on them show a marked preference for infrared, the hotter the better, which is why seed bugs love to migrate inside buildings when it begins to turn cold. Studying the behavior of these insects can help us eventually develop a way to keep them out of buildings, and to prevent them from destroying so many evergreens. Researchers also believe this will help us to understand other IR detecting insects, including mosquitoes, moths, and flies. Physics for Scientists and Engineers with Modern Physics by Raymond A. Serway, John W. Jewett, Jr.